Do you love Roses? Do you love Vintage Ephemera? Do you love Pink? Yes? …Then I think you will love this Pink Rose Picture! 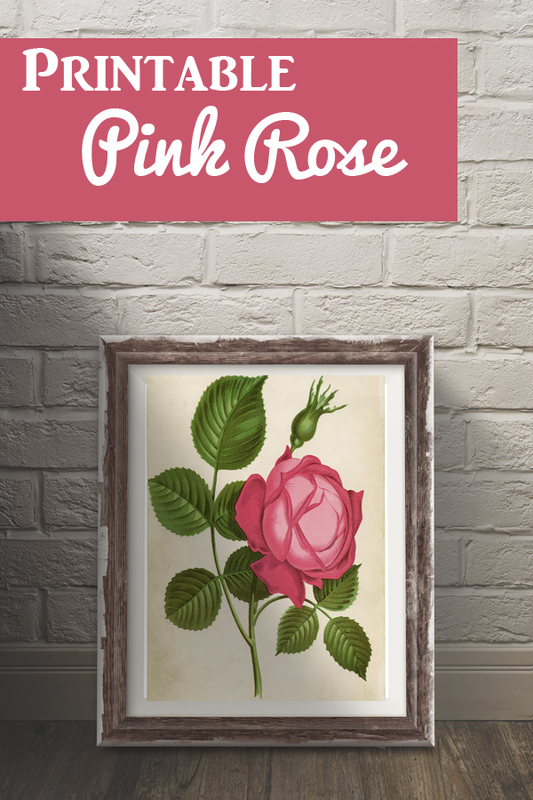 Today I’m sharing this Gorgeous Pink Rose Picture Printable! 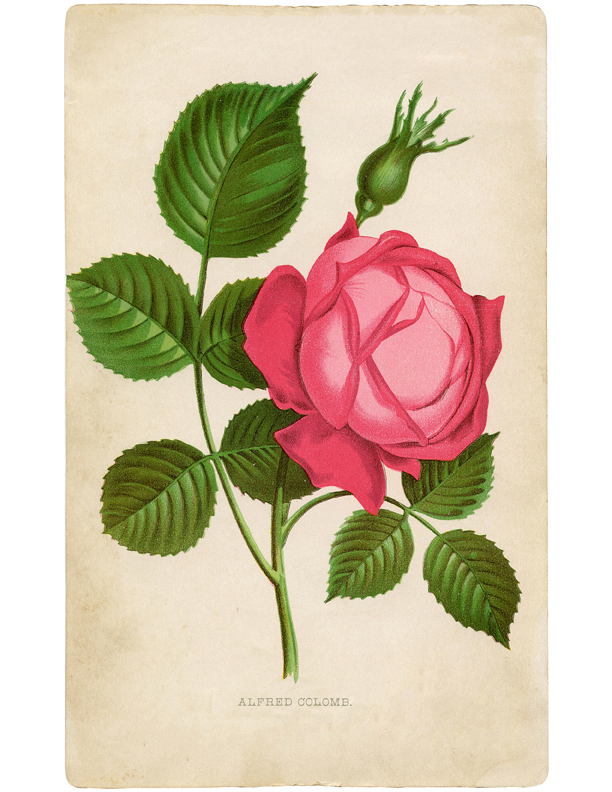 Shown above is an amazing Antique Botanical Print, featuring a perfect Pink Cabbage Rose with bright green Leaves. The Rose species is “Alfred Colomb” according to the Text that is on the print. This is a scan from a print in my collection, we’ve kept much of the delicious original patina intact so that when you print it out, you have a great looking aged print, much like the original Ephemera. You may want to refer to this Printing Guide, in order to get a high quality Print, with your home printer. Such a wonderful picture, to print out and frame up for some Instant Art Wall Decor. Or perfect to use in your Handmade Projects, Image Transfers or Mixed Media Art! And if you are particularly fond of Roses, you might also like our 10 Best Rose Images Post HERE, where you can find many more floral beauties. « Beautiful Vintage Ornate Book Title Page Graphic! I can’t help admiring flowers – this is pretty! Thank you so much it’s stunning! Thank you Julie, so glad you like it! !